Today I am leaving on a 5 day trip to New Orleans Louisiana! My sister Kim has a conference in N.O and invited me along to keep her company and for a few laughs of course! I have never been to Louisiana so this is a REALLY BIG DEAL for me. We are staying right in the French Quarter and I plan on spending my days lying by the pool, touring around to see the sights and of course taking loads of pictures! As it is just starting to cool down here in the northeast, I expect that it will be super hot down there with lots of humidity. But that is fine with me. What I am also looking forward to experiencing in N.O. is the food and as luck would have it this coming week is Louisiana's Seafood Restaurant Week! So I will be keeping you a posted on all of my activities while visiting this fair city. Take care and have a great weekend!!! Nothing like a vacation with your sister! Have fun! I hope to see lots of pictures when you get home! Welcome to my part of the world. It's very different here. Yes it is hottttt! Don't leave without have a beignet at Cafe Du Monde in the French Quarters. You are going to have wonderful time, Barbara! We went a few years ago and just loved it! Make sure to try the shrimp and grits...you can have it for breakfast, lunch or dinner at almost any restaurant! And enjoy the street musicians! If you love good food and great jazz you are going to love New Orleans. 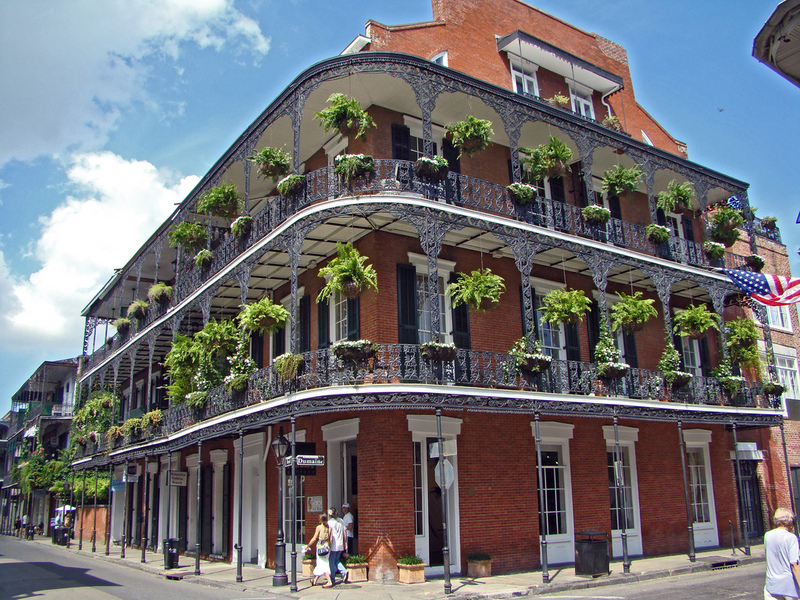 New Orleans is one of our favorite destinations. I love the old churches and the beautiful old homes. You and your sister can do some great antiquing while you are there. Enjoy!